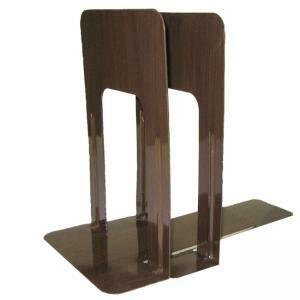 Bookends feature a sturdy, steel ribbed construction and chip-proof enamel coating. Nonskid model includes foam padded base to help prevent slippage and scratching. $4Business Source Book Supports with Poly Base - 5.3" x 4.09" x 5.07"